The best way to avoid having vacant properties is to buy one that is in a good location. Some areas are better to buy in than others are, so be very careful as to which neighborhood you decide to invest in. One way you should base where you buy on, is what type of renters you want. Do you want well-educated, older responsible tenants? Do you also want to be able to charge a rent that is higher above the average? Then you should probably purchase in a more affluent area, for example. You really don’t want your building to be in a scary part of town. It’s definitely going to limit the scope of renters that your’e able to rent to. Unless your building really offers something super special. What, we aren’t sure. However, your building is always going to have to have something better than the others in the area, if you want to keep it rented. This is true for no matter which location you purchase in. Especially if it’s a very popular area. Think as if you were going to rent the property. Would you want to live there? Why, or why not? Think like a renter when you’re deciding on which rental property to buy. Read: How to Determine a Fair Rental Price. How visible is your property? Can people see your For Rent sign? If your property is in a secluded area, you’re likely to have a tougher time renting than a landlord who is located next to busy streets that people frequent. Unfortunately, this person will have the advantage, because people are always on the lookout for a friend or family member that needs an apartment. If you know you’ll have tenants moving out next month, you need to act quick. Schedule for your handyman to arrive the day that they move out so that they can examine any damage, and schedule repairs for as soon as possible. For example, the apartment may need a new microwave that has to be special ordered. You want to be prepared. See: Tips for Renting Property During Winter Months. Pricing your rent correctly is extremely important. You don’t want to lose money, but you also don’t want to run off buyers by charging a ridiculous amount of rent. Landlords that refuse to lower their price usually sit on empty units for quite some time. 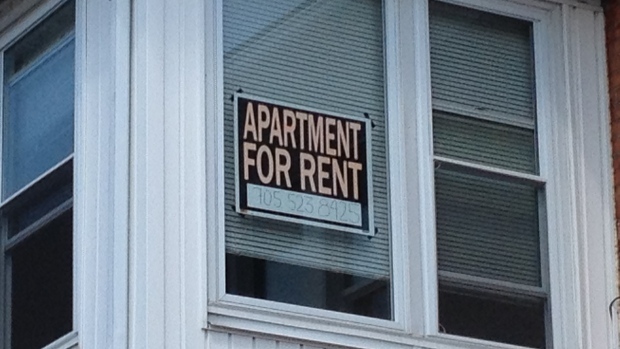 Eventually, they’ll rent, but considering the months it sat vacant, they didn’t make a profit in any kind of way. Don’t forget to advertise on the internet. Just putting a sign outside isn’t going to cut it. It’s important, too, that you have your phone number and the rental price on it. So many people don’t see a price, so they don’t call, assuming they won’t be able to afford it (depending on the location). However, you might be charging a very modest amount of rent, and they never knew that. Consider requiring that your tenants sign a lease longer than one year. This is another great way to ensure that your unit(s) stay rented. Throw in some incentives for them, such as paying for cable, or water. Renters love when landlords pay for a utility (especially when they pay for all of them). For further reading: The Real Cost of Tenant Turnover. Before you can fix any problem you need to know what the problem is. Do you know why your tenants leave at the end of their leases? You may have some idea, but unless you ask for regular feedback from your tenants, you won’t know what their concerns and issues are. Whenever a tenant gives notice that they are moving out, part of your process should be sending them a short survey. 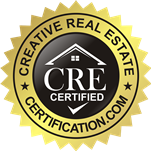 In the survey ask the tenant to rate their experience and ask why they are not going to renew their lease. You may find some painful truths. Maybe the property isn’t as well kept up as others in the area or perhaps the rent is out of step with other similar properties. In some instances, the tenant may have an issue that is simple for you to solve and you may be able to convince the tenant to stay. But, even if the tenant is determined to leave, you can gain valuable insight into how the tenant felt about the property and their tenancy. Keep in mind that you don’t have to wait until a tenant wants to leave to get feedback. You can ask for feedback with a short written or online survey anytime, but asking too often will make it easier to ignore the surveys. Try sending a survey two times a year. Tenants will appreciate being asked for their opinions and you will be able to spot trouble before it’s too late. Nobody likes being ignored. One of the most common points of friction between landlords and tenants is repairs and improvements. Even conscientious landlords try to put off improvements in an attempt to maximize profits. But keep in mind that investing in regular improvements, and not just repairs, can reduce tenant turnover and even increase the amount you are able to charge in rent. When tenants see landlords making an effort to make the property better, it makes them feel better about the rent they pay and living at the property. One important part of making regular improvements is to communicate the value of the improvements to the tenants. Tell tenants why you are making improvements and how those improvements make their life better. The rental market in Prince George’s County is very competitive. Give yourself an edge by showing your tenants how much they mean to you. Landlords and tenants are faced with a basic conflict of interests: landlords want to charge as much as possible in rent and tenants want to pay as little as possible. Sometimes the market for rent is all over the place and this can lead to tenants being constantly on the lookout for better deals. It is standard practice for rent to increase every year or two. However, wages often do not increase with the same regularity. When you are seeking to maximize your profit by increasing your rent, you need to make sure the increase is in your best interest. a) Can your tenants afford the increase? b) Are other comparable units priced lower? c) If you lose a tenant how long will it take to fill the vacancy? d) How much does it cost to fill a vacancy? e) Will the increase in rent make up for these costs? Rent increases are one of the most common reasons for tenant turnover. Before you raise your rent, make sure you consider what doing so may end up costing you in the long-run.